Hand assembled using the best quality materials, the KUDOS Inspire collection of bath screens have been designed to compliment your bathroom space. 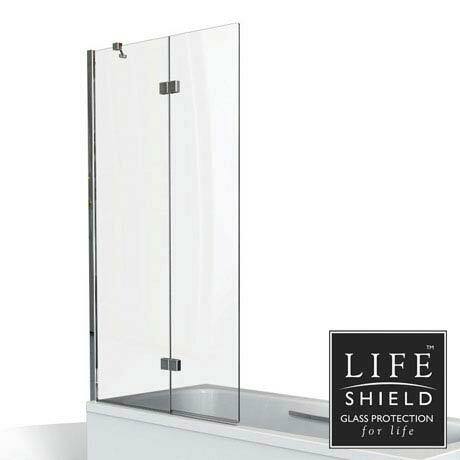 The Inspire Two Panel In-Fold Bathscreen is made from 6mm toughened safety glass and features a 500mm fixed panel and a 375mm hinged panel that folds neatly behind the fixed panel when not in use. The SmartSeal Technology incorporates integrated mouldings and twin element profile and bath seals for the ultimate water retention.